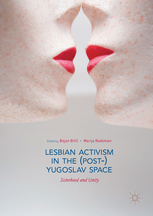 Lesbian Activism in the (Post-)Yugoslav Space will be of interest to students and scholars across a range of disciplines, including gender studies, history, politics, anthropology, and sociology. Bojan Bilić is FCT Fellow at the Institute of Social Sciences, University of Lisbon, Portugal and Adjunct Professor of Gender and Social Movements in South East Europe at the School of Political Sciences, University of Bologna, Italy. Marija Radoman is a researcher and teaching assistant in the Department of Sociology, Faculty of Philosophy, University of Belgrade, Serbia.